Who else thinks Canada’s spot on this list is deeply troubling? Original graphic by the European Cyclists’ Federation. It wasn’t always this way. Since the 1950s, the number of kids arriving to school feeling fresh, alert and healthy has been dropping in North America. Studies on children’s mobility consistently show that kids would still love to ride to school; the barriers that are cited – both perceived and real – are numerous, but chief among them is always traffic safety issues. If Sweden can do it, we can do it. 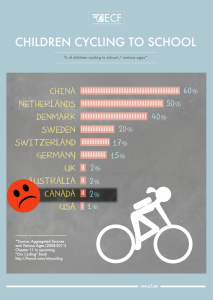 When countries with similar climates have 10X higher cycling-to-school rates, and when high school bike racks are often full in mid-winter in Finland, there are few excuses for Canada. Economically, the longterm preventive health impacts alone would pay for billions worth of protected lanes, traffic calming all around the country – resulting in more liveable, bikeable neighbourhoods (which are well-known to result in rapid increases in bicycle modal share) for everyone. 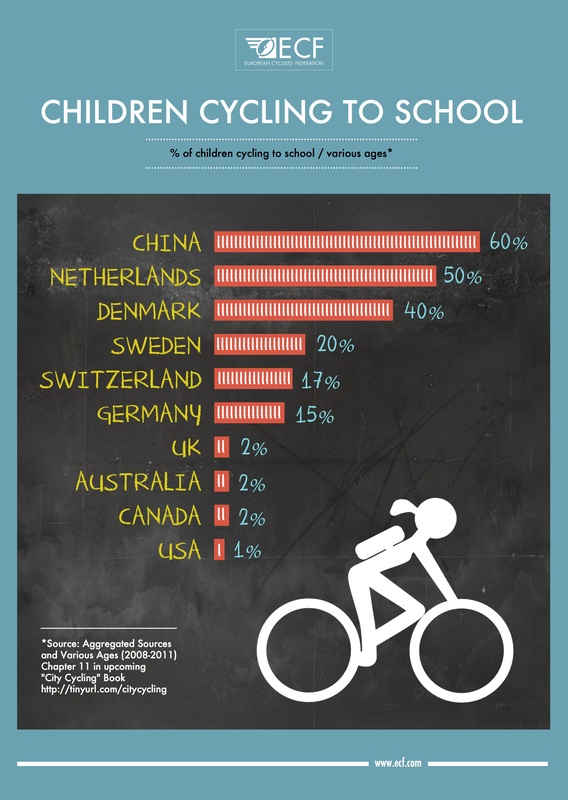 In short, we think that the number of children cycling to school should be nothing short of a metric by which we judge the success of our country. Until we can provide all youth with the safe community and the Canada that they want to live in, this should remain a source of deep concern for all Canadians. It’s time to change how we move . . . starting with the people who are our future. What do you think? And what can we all do about it? Anders Swanson is a walking/cycling policy/design specialist. His recent work has often revolved around children’s mobility, focusing on roadway design, data collection and communications. His recent projects include CounterPoint and BikeWalkRoll. Anders grew up in a suburb of Winnipeg, where he used to ride his bike to school. Back then, the racks were pretty full. 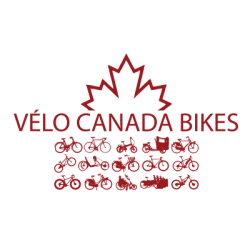 He is currently the chair of Canada Bikes.